Finally the theme for TEDxHimi 2017 has been announced! 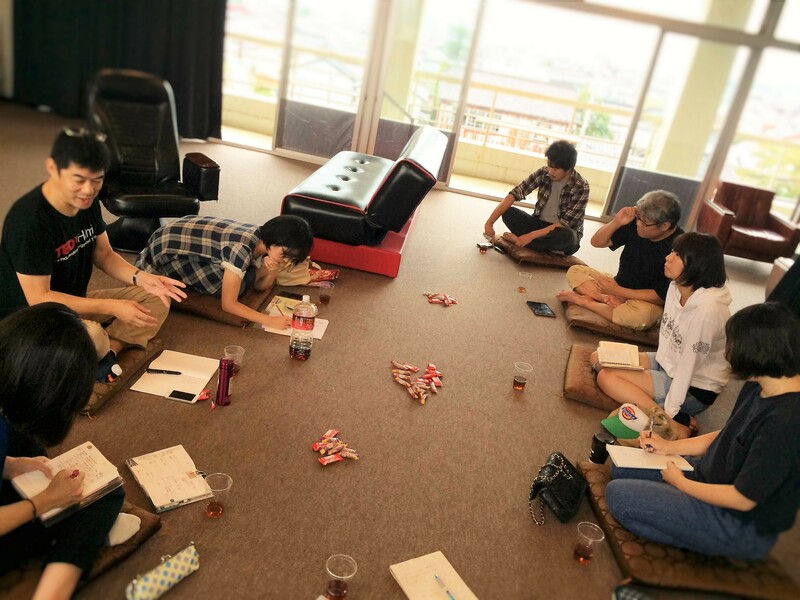 A regular TEDxHimi 2017 meeting was held at Himi Kinema on the Saturday, September 17th. This time we welcomed three new women as staff, who all happened to be students or alums of Toyama University. The meeting included a briefing session for new staff, self-introductions, and the announcement of this year’s theme by the founder, Mr. Kawamukai. We focused on last year’s theme “Passively Active” and looked into its concept more deeply to arrive at this year’s theme: Jomon period. Through this topic, we will pursue the roots and essence of Himi – What sort of ideas worth spreading might be generated from this concept? But, how does Himi actually relate to the Jomon period? Mr. Kawamukai will be writing about this later on in the blog, so make sure to check back soon for more info! We are also planning to do some activities relating to the theme. Jomon doki (cord-marked pottery) is a classic example of the Jomon culture. We are planning to make something related to it. As soon as the details have been decided, we will let you know what we plan to make through the blog, so look out for the announcement! Next month’s regular meeting will include visiting the venue. We are still in need of volunteers, so if you are at all interested, don’t hesitate to join us!